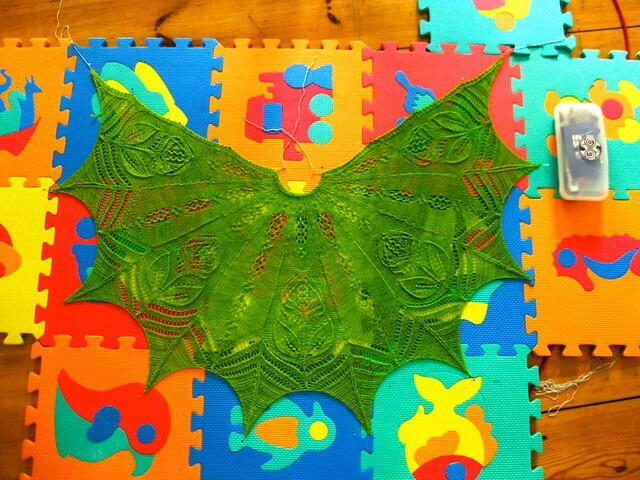 Posted in 7 days - 7 things and tagged 7 things, comic book, green, lace. Bookmark the permalink. So this week I didn’t manage to find 7 things I crafted. The blame for that lies with one huge project. 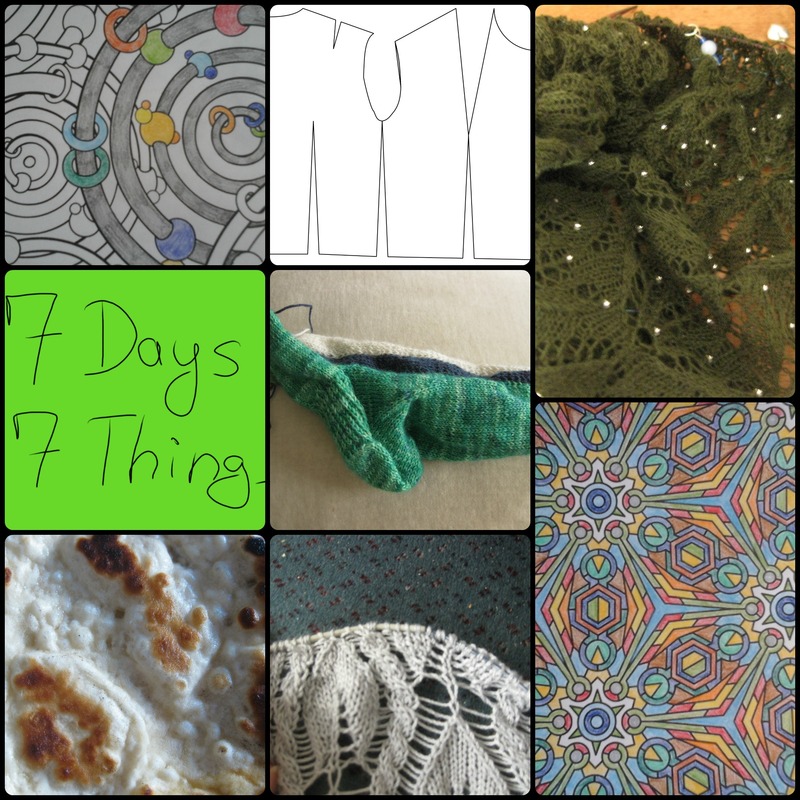 Posted in 7 days - 7 things, Design in Progress, sewing and tagged 7 things, comic book, design, green, lace. Bookmark the permalink. Sometimes there are designs I love, but still hate so much while working on. My current shawl design is one of those. I really like the look so far, I liked the look of the parts I frogged (now twice! ), I really love the yarn. But now I had to frog the boarder twice! Boarder, that part of a shawl that usually has the most stitches and in this case lace. I now made the third chart, which is not that uncommen for designing, but usually I have a working chart without such math problems before starting. So now I have the stitches just before the lace back on the needles, and start something else, written by someone else, to give my knitting brain a rest. Posted in Design in Progress and tagged design, frogging, lace. Bookmark the permalink. 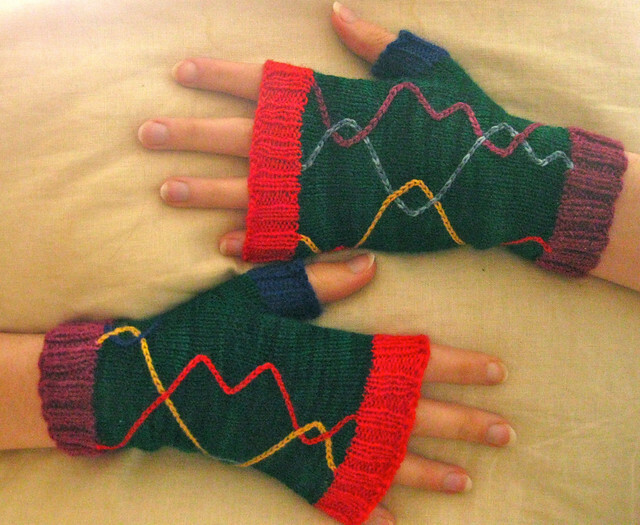 As part of the indie designer Gift-a-Long on Raverly, I interviewed Texknitter. Bold are my questions and comments, and Texknitters answers are in regular font. What is your design process and what influences your design? Most of the time my designs are driven by techniques that I want to play with, but I am also very influenced by the visual world around me. There are times when I will notice a pattern in nature or in architecture, and see the whole knitting project in my mind. I love seeing how a design comes together, from the inspiration to the techniques I choose. I like making it fun for the knitter. What is your favorite item you designed so far, and why? That’s like choosing your favorite child, but my favorite is generally whatever I am currently working on. 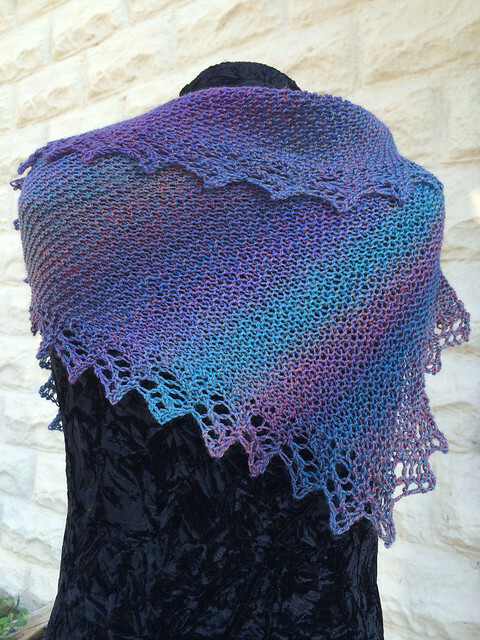 Right now it’s the Mercado Shawl, because I love the drape of the bias shaping. Does anything intimidate you in knitting or crochet? Nothing in knitting intimidates me any more. What is the worst that can happen if I mess up? I rip back and fix it, or start over. No one gets hurt. When you want to learn something new (or need to refresh it) in knitting/crochet, where do you look it up and why? I have (cough, cough) a lot of knitting reference books. Of course the Internet has made it easy to learn all sorts of new techniques, through Ravelry, You Tube, and just searching. Do you have a favorite LYS? I am fortunate to live in an area with lots of yarn options. Most of my time and yarn dollars go to Hill Country Weavers in Austin, and The Happy Ewe in Jonestown. Do you collect WIPs/UFOs or do you work only on one project at a time? I always have a simple project in my purse, and I try to have a few projects at different stages on the needles. That way if one needs thinking about, I still have something else to be working on. Are you a selfish knitter or do you knit mainly for other people? Several years ago I looked back over a year of knitting and realized that I had nothing of my own to show for it; it had all been given away. Now I mostly knit for myself, although I will knit anything that my children ask for. Is knitting a seasonal activity for you? Knitting has no season! Living in a warm climate, I do knit smaller projects during the summer months, but I knit every day, all year. What makes you buy a pattern? Cool techniques keep me interested, and I am a sucker for pretty shawls. What do you most enjoy about knitting or crochet? I love that knitting can be as simple or as complex as I want it to be. I get to spend time doing something I love, and I get something cool at the end. 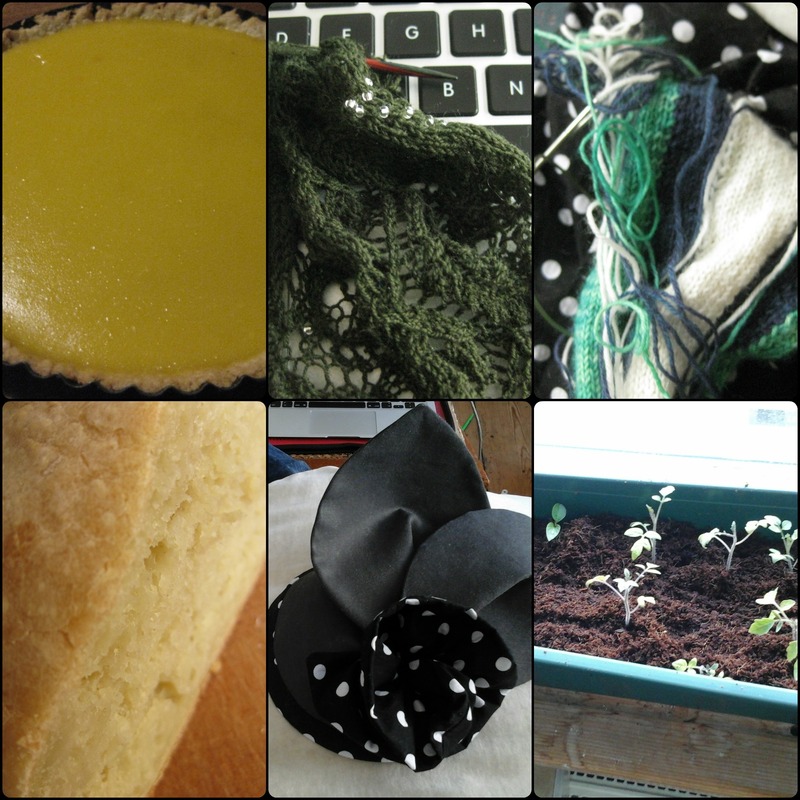 Posted in Knitting and tagged GAL, interview, knitting, lace, shawl, socks. Bookmark the permalink. *dusting a bit* Gosh I haven’t blogged in a long time. Live got in the way of social media, but never in the way of knitting and designing. My newest obsession with designing are with comic book inspired knits. Well, superhero comic books to be precise, as my fairy tale knits were inspired by the comic series Fables. Thanks to brain storming with a friend on twitter I have more then enough ideas for two collections, with everything from cowls and shawls, to garments. And I already finished three prototypes! The first one is for a Spider-Man inspired shawl, this is a matching piece to my Itsy Bitsy Spider and A Big One knee highs. But there will be texture, lace, colourwork (well stripes and slipped stitches, and only if you want it), and fun. 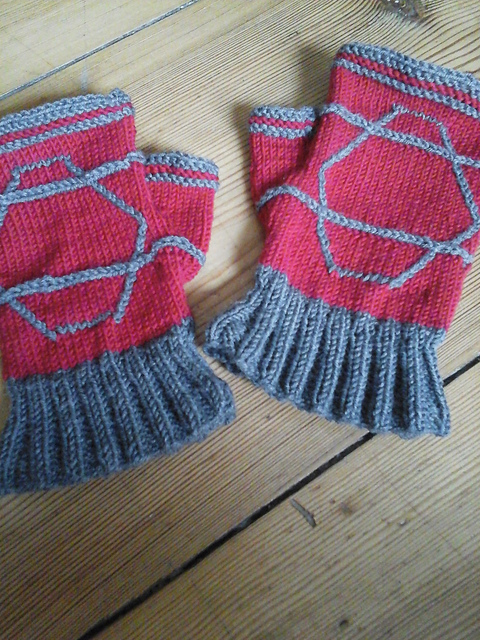 And the third are fresh from the needles, some fingerless gloves matching the armor from Lady Sif. I developed an obession with that vertical braid you can see on the mittens. They are a really cool feature and easiert to work then you may think, I even made a ilittle tutorial for the mittens. Posted in Design in Progress, Designs, Knitting and tagged comic book, design, green, knitting, lace, Lady Sif, MKAL. Bookmark the permalink. This blog post is for the really nice lady today who was so impressed by my knitting I’m still smiling. 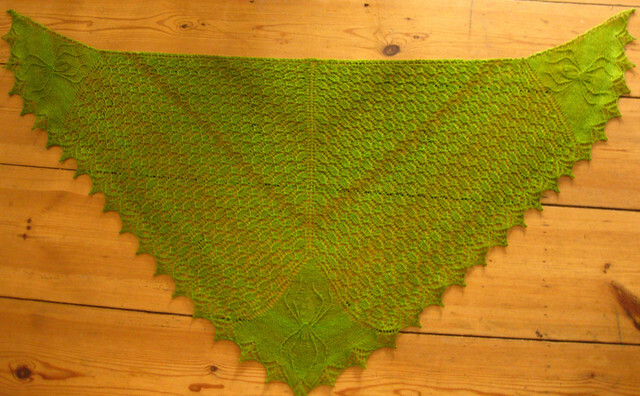 I was wearing my Blooming Garden Shawl in Wollmeise pure “Frühling”. As the colour means “spring” and it is rather warm here already for febuary I though it was the fitting piece for today. In other news I finished a companion piece to my Waldhaus socks: Some mitten I knitted for the ravellenic games. Atm they are tested and will be available soon. 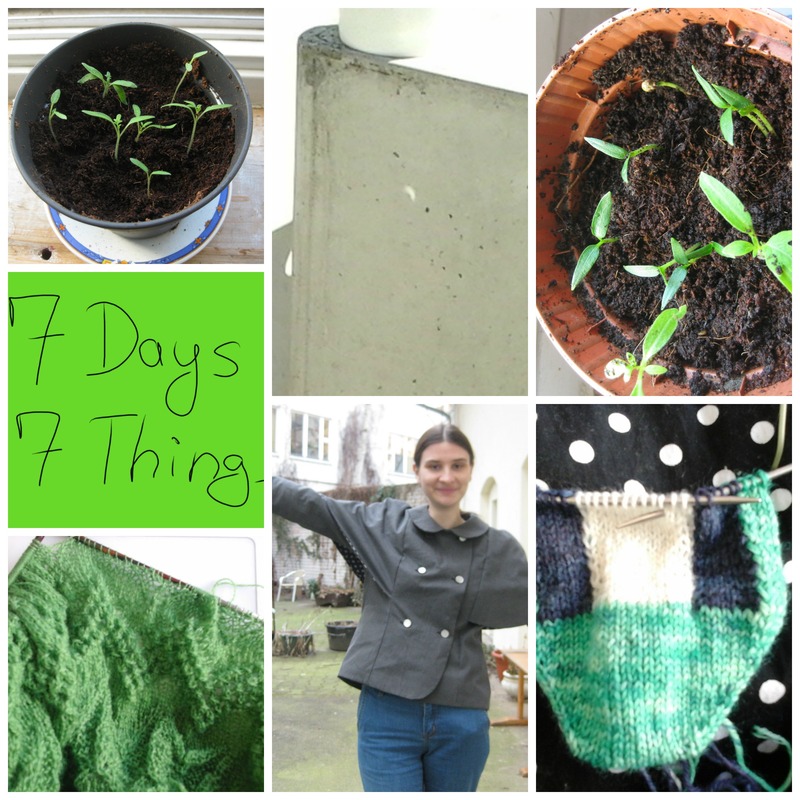 Posted in Design in Progress and tagged design, green, knitting, lace, Wollmeise. Bookmark the permalink.